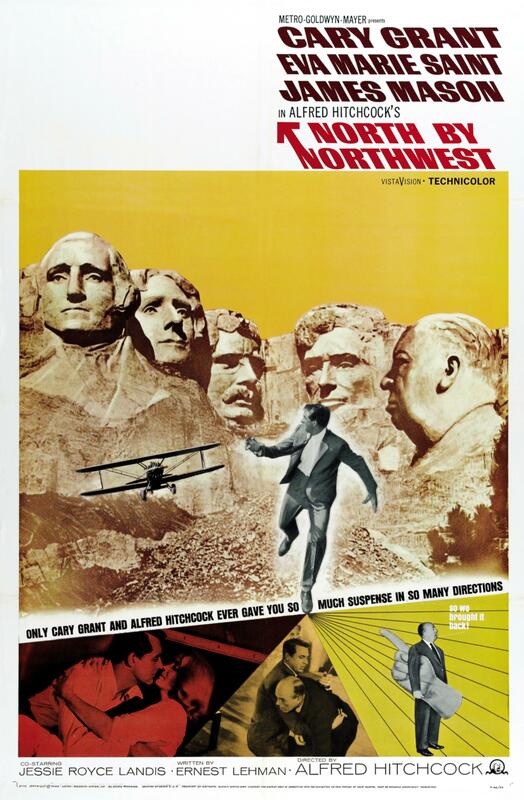 North by Northwest is Alfred Hitchcock’s “summer blockbuster.” It has action, romance, thrills and large set-pieces culminating in a fantastic and iconic finale. The hero globe-trots, beds a beautiful lady and becomes a low-rent James Bond. It is as close to a proper “action movie” as audiences will ever get from Hitchcock. In fact, many people cite North by Northwest as Hitchcock’s greatest thriller and it easy to see why people engage with it. It has some fantastic scenes; the chases in the train, the initial altercation in the mansion and another in an auction house and of course the now well-parodied plane scene which many remember most fondly. Each of the close-calls the hero finds himself in and then escaping from are well-staged, in a manner Hitchcock has become known for. Nothing will quite beat the finale though. The ending atop Mount Rushmore is ambitious, particularly for the late 1950s and finishes the movie at a high-point, bringing a satisfactory conclusion to proceedings. Unfortunately, not all of the film lives up to the finale, or the “greatest thriller” description. There are times when Hitchcock’s version of a summer blockbuster falls into the traps modern summer hits suffer from. The story itself is fairly flimsy, with some pretty large plot-holes. The initial misunderstanding which the whole plot centers on is so minor that you can’t imagine it leading to the film’s events. It also calls for one of the most bizarrely written characters in movie history. Cary Grant is great, suave, sophisticated, charming and can play the action well. Unfortunately, the advertising executive he plays seems at times idiotic and at others a veteran spy. At times he makes errors which an average man in his situation wouldn’t and then others he is being as heroic as Bond would be. It makes for a very strange character at the center of the film’s events. That flimsy plot isn’t just exposed with it’s central character either. At times it feels that Hitchcock is more focused on the set-pieces and grand spectacle than telling a story which makes any real and lasting sense. There is at least half an hour of the movie which isn’t necessarily needed and the elongating the story to include larger set-pieces just makes the tale more transparent and thin. Luckily, because the set-pieces are so spectacular and the staging of these scenes is so well-executed, you can overlook the plot. Unlike some other Hitchcock movies in the same ilk as this one, you feel North by Northwest is much more “fun” and less concerned with the story the character is in than making an audience gasp or teeter precariously on the edge of their seat. 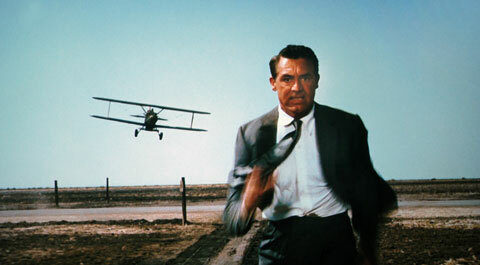 Overall, North by Northwest is a well-staged and very exciting thriller but far from Hitchcock’s best. It has great scenes, some of which have become suitably iconic but doesn’t have the well-written plot to hang them upon. Add to this a very confusing central character and you have an attempt at a “modern summer blockbuster” before it’s time.